Awarded “Friendliest Park” by Amusement Today, Dollywood is a must visit for families, foodies and roller coaster enthusiasts. 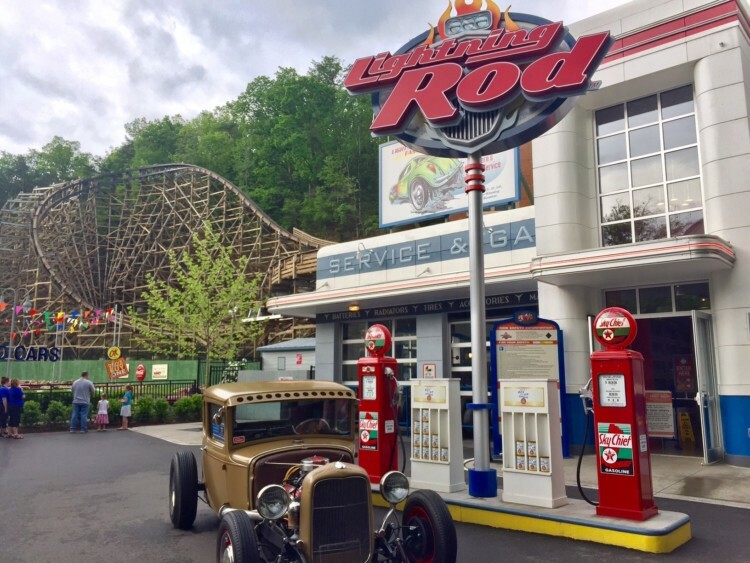 Now celebrating over 30 years of charming visitors, Dollywood spans 150 acres in the foothills of the Great Smoky Mountains and offers more than 40 rides and attractions, including record-breaking coasters. 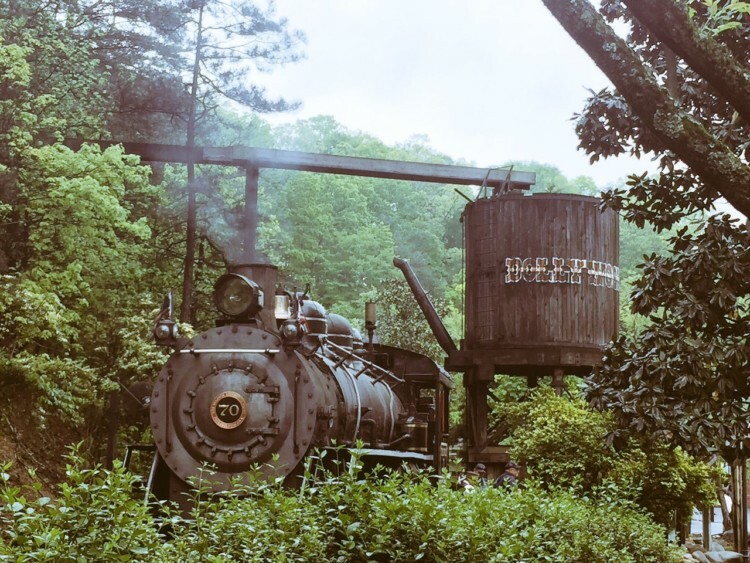 With so much to see and do, below are VIP Tips for Visiting Dollywood, so you can experience the very best that the theme park, water park, resort, cabins and live dinner shows has to offer. Nestled in the Smokies in Northeast Tennessee, Dollywood is unlike any other amusement park. No matter if you’re a fan of Dolly Parton or not (but come on, who isn’t? ), Dollywood offers something for everyone, from record breaking coasters to delicious Cinnamon rolls, mouth-watering Southern-style food and amazing views. Despite misconceptions, Dollywood is not a shrine to its namesake. In fact, you have to seek out the portions dedicated to the icon, like her tour bus and museum located within the park. Also, it’s not hokey or little. I was shocked when I unfolded the theme park map – there is so much to do. After speaking with Dollywood Insiders, employees and finally experiencing the park first hand, here are 11 VIP Tips for Visiting Dollywood the right way! 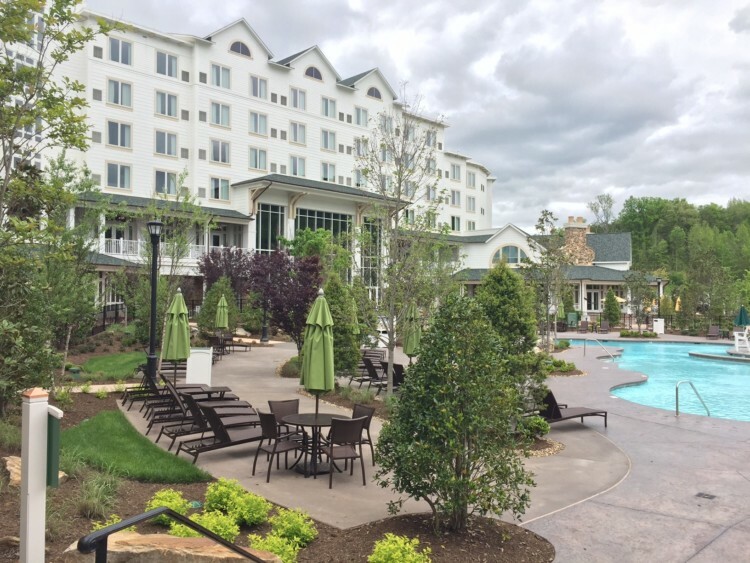 Stay at Dollywood’s DreamMore Resort – It’s beautiful, affordable and very VIP. Rates depend on seasonality with as low as $89 during the off-season (Jan-March). During peak season, you can expect rates to start at $169. Still a bargain considering the luxury of the resort. Basically, that’s the same rate of a Disney budget hotel, yet offers the experience of a Disney luxury hotel. Also, all room occupants staying at DreamMore receive a free TimeSaver Pass ($35 plus tax, per person, per day!) for bypassing lines at Dollywood. Plus, free parking, a shuttle to Dollywood parks, discounts on dinner attractions and park tickets (2 days for the price of one). Do try the juicy fried chicken at their dinner buffet, yum! 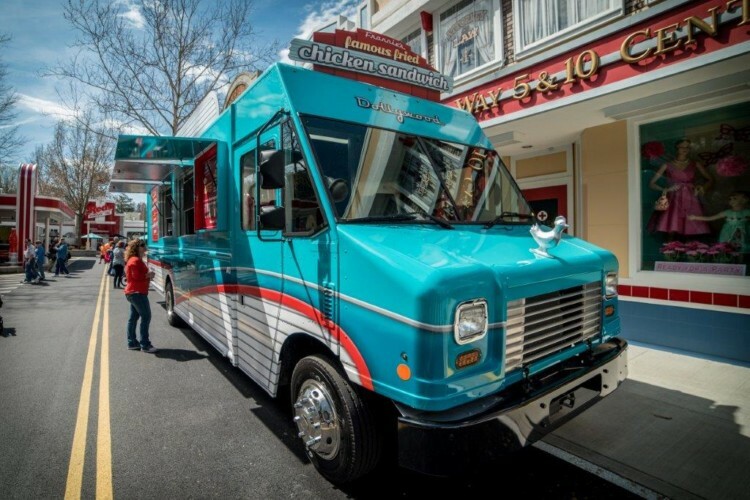 Find Frannie’s Food Truck – Located in Jukebox Junction, this robin’s egg blue colored food truck makes one-third pound fried chicken sandwiches that some say are better than Chick-Fil-A! Eat the Famous Cinnamon Bread – Everyone talks about Dollywood’s famous cinnamon rolls and now I know why. Located at the Grist Mill, hot fresh cinnamon bread is made daily and live up to the hype. They’re more loaves than rolls, really. Splurge and pay extra for the cup of frosting and apple butter for dipping. Ride the world’s fastest wooden roller coaster – Lightning Rod is also the world’s first wood launch coaster. Unlike other wooden coasters, it’s not jerky. It’s quite smooth and yes, fast! Since this is one of their most popular rides, head to this one right away or use a TimeSaver Pass. Go on Blazing Fury – This indoor dark coaster is a park original and super kitsch. The outdated animatronics are laughable, but this coaster holds surprises and quick twists that will make you laugh and gasp too. Reserve a Retreat at Dollywood’s Splash Country – For the ultimate VIP visit to Dollywood’s Splash Country, book one of their Waterside or Riverside Retreats. It’s a great way to get some shade and unwind. This feature is especially good for babies needing to nap while older siblings continue to play in the water park. Each private retreat offers 200 square feet of shaded space, or you can soak up the sun on the additional 100-square-foot sun deck. Each unit includes a dining table, ceiling fan, satellite TV, food delivery and lounge chairs. Max 10 people. They are available on a first-come, first served basis. Make reservations as far in advance as possible—especially for busy weekends and popular summer holidays. Listen to the Gem Tones – a popular roving acapella group that performs in Jukebox Junction near Red’s Drive-In, a ’50s-themed burger joint. Order a slice from the 25-pound apple pie – Spotlight Bakery & Sandwich Shop near the entrance bakes up a 25 pound Apple Pie. One slice can feed up to six people! If you buy the whole thing it comes with the cast iron skillet. Whether you plan to try it or not, it’s worth photographing and salivating over. Board a WWII steam engine – Besides the rides, guests can board a real 110-ton coal-fired steam engine. Dollywood Express chugs through a five-mile journey up the foothills of the Great Smoky Mountains. Originally stationed in Alaska during WW2, the Dollywood Express route now provides scenic views adults will love. Kids will enjoy this authentic ride, which is very different from the modern amusement train rides elsewhere. The whistle alone commands attention. Be sure to chat up the conductors too. View the Bald Eagles – Dollywood has a ton of majestic bald eagles for viewing. Don’t worry, they aren’t being imprisoned, but saved. These eagles have been deemed unreleasable and have found a sanctuary at Dollywood. Say hello to 90-year-old Johnnie Crawford in the Chasing Rainbows Dolly Parton museum. She has been with the theme park since the beginning. I had the chance to speak with her as I exited the museum. She called out to me asking if I was enjoying my visit. I already was, but that sealed the deal. Crawford works three days a week and loves the interactions. Bonus: 5 Ways to Save Money at Dollywood! 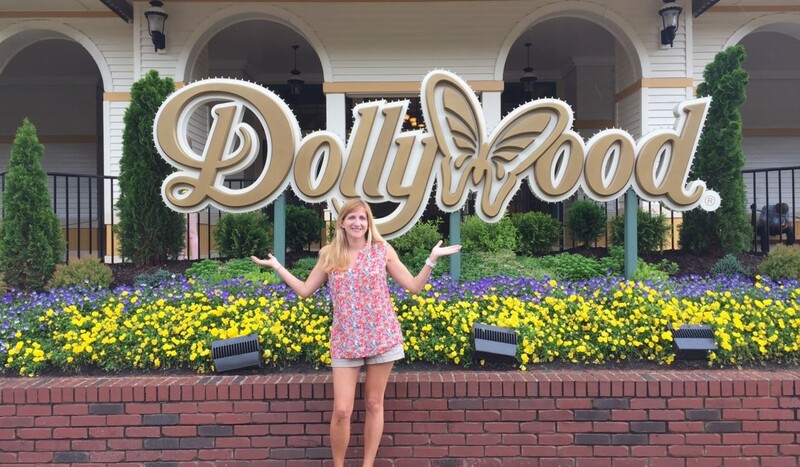 Tara, I’m so glad I got to be there when you experienced Dollywood for the first time – and I’m so happy you loved it! Great post! Hope you’ll come back very soon! 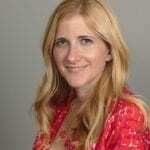 Great advice Tara! I sometimes find we have eaten our way through the park- so we bring cinnamon bread home! We go every year at Christmas. We LOVE IT so much we keep season tickets. If your going anytime the end of November thru December you have to have Dollywood tickets. Buy them starting the end of November and you get the full 2018 season as well–that means you get 2 Christmas for one. Lots of sjows, Christmas lights, a parade. It’s just a wonderland! It just feels like home. There is so much to do between Pigeon Forge, Dollywood, Shopping, and Gatlinburg we never tire of it. We have been going at least twice a year or more for the past 9 years. Our frst visit to the area was on our honeymoon 21 years ago. Though a lot has changed since then with the fire and some of the chapels have shut down it is still a magical place for a wedding/honeymoon. There is always something new to see!